Brandi stayed with us for a total of a month. 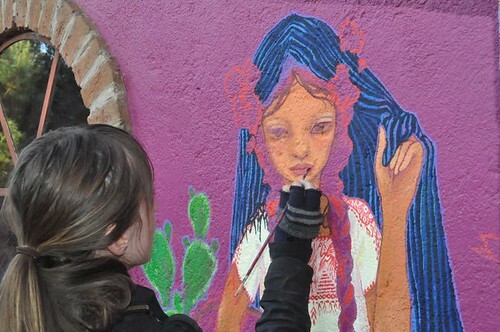 She’s a wonderful person and contributed to both the vibe of the Bosque and also the art! 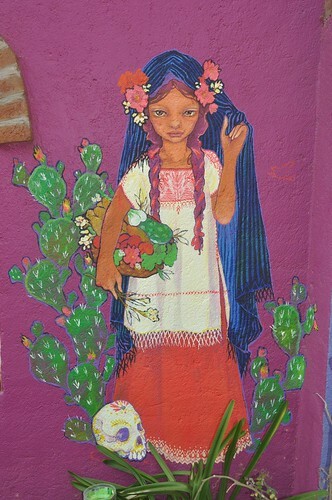 During her time here she painted an absolutely amazing mural on an exterior wall of the Casita. When guests inquire about painting a mural, Brian usually lets them use his large containers of paint with basic colors, because the small, speciality colors are quite expensive. After day one of Brandi painting with the bulk paint we were impressed! She mixed the bright colors so well and is so completely talented! Full paint access: granted. Final result: incredible. Thanks Brandi, for not only contributing art to the Bosque that so many people will get to appreciate, but also for being such a wonderful guest. We have been so thrilled to host so many amazing folks these last few months. Every single one of our guests has been a pleasure to meet and we’re happy that we can share this space with interesting travellers. 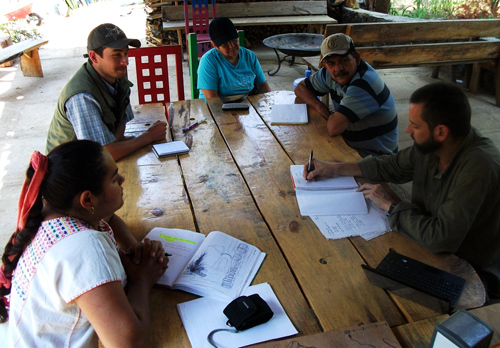 Seven recent guests have written about the Bosque on their blogs. Enjoy their entries! Eric and Sabrina are traveling through Mexico and Latin America on their motorcycle. Eric writes up their adventures (and takes amazing photos). See their entry about the Bosque here. Anna visited the Bosque and is en route - always! Her blog is a fascinating account of her world travels - by bicycle. Enjoy browsing her website. Her entry about the Bosque is here. 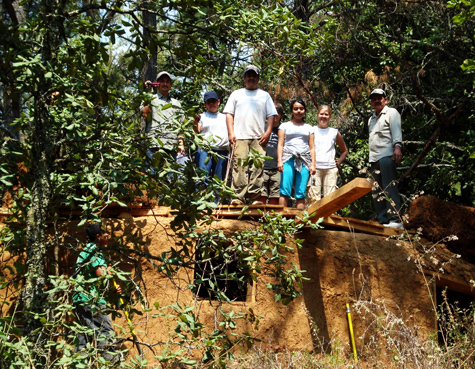 Steven and Rossana were able to visit us during their latest trip to Michoacán. They founded Visionary Values; an organization committed to promoting sustainability and conscious consumerism. Their blog entry about the Bosque is here. Adam and Danny are on a long journey through Mexico, Central, and South America. We were happy they could make a stop at the Bosque! Adam wrote about his time at the Bosque here. 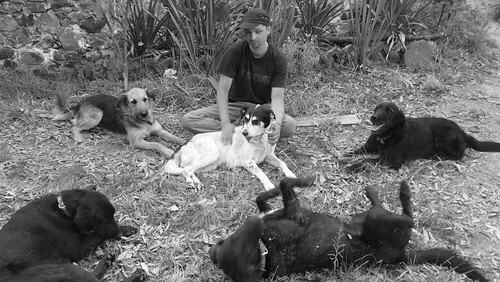 Niklas has been here nearly two months now, and we love how much he loves the dogs. A great guy who makes life better for animals and people around him. You are currently browsing the archives for the visitors category. Entries (RSS) and Comments (RSS). 18 queries. 0.191 seconds.